This entry was posted in Uncategorized and tagged eclipse, xtext on June 24, 2013 by Lorenzo Bettini. 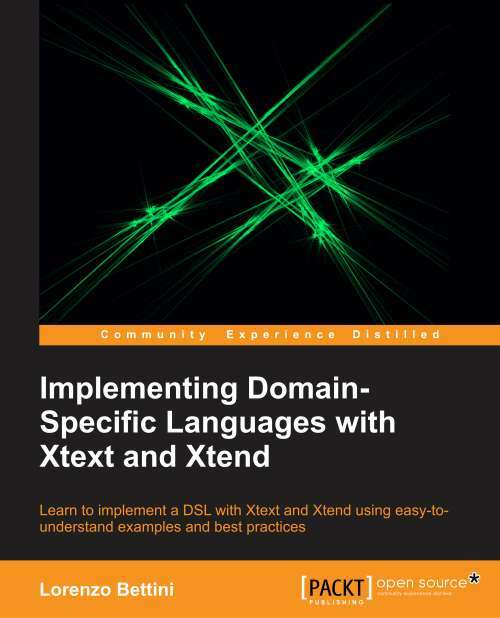 Cool, Lorenzo and thanks for your contribution to make Xtext and Xtend more popular! I’ve pre-ordered a copy already, but is there any chance of a pre-release of the e-book, similar to what Manning does with their MEAPs? I do not know of a pre-release, but I’ll ask the publisher about that! “We do have a concept called as RAW that has begun in the recent past where we provide the preliminary draft chapters to the readers and they get back to us with their feedback. The AE usually decides if a book can enter RAW or not. This is decided and done quite early in the book process and like MEAPs, the chapters are uploaded online as and when they are received from the author. Grrrrrr! I would like to get it now 🙂 Any idea when the book will be available ?